On the 25th anniversary of the first Apple laptop, CEO Tim Cook took the stage Thursday at company headquarters in Cupertino, California, to unveil the latest MacBook Pro, which features some new hardware. Yep, you guessed it, it’s the long-rumored OLED touch bar, appropriately named the Touch Bar. 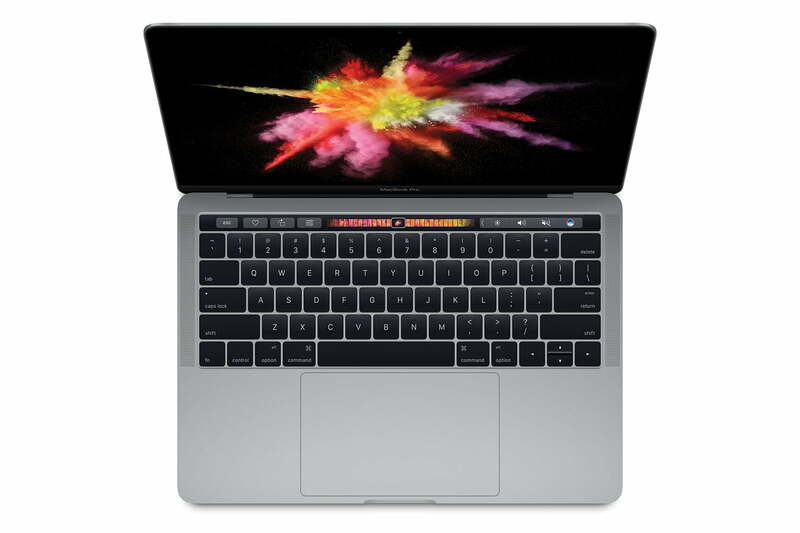 The Touch Bar features a Retina display, capable of recognizing context-sensitive multitouch gestures, which change based on which app you’re currently running. In addition to support for auto-correct suggestions and brightness, volume, and other controls, the Touch Bar also has another surprise. Right there on the end of the bar is a TouchID pad fully integrated into the power button. The new TouchID support comes with a brand new integrated chip, the Apple T1, a dedicated TouchID chip inside the MacBook Pro 13-inch and 15-inch. All right, so how much is it going to cost? Well, that’s where Apple really made some changes. The new 13-inch MacBook Pro without the Touch Bar starts at $1,500, the 13-inch with Touch Bar starts at $1,800, and the 15-inch with Touch Bar starts at $2,400. Those are massive price increases across the board, but what do they get you? The new MacBook also received an overall revamp, including a new unibody design that does away with any plastic on the exterior, aside from the keyboard. That’s right, the iconic glowing Apple on the back is replaced by a glossy metal apple engraved right into the aluminum chassis. The new MacBook Pro replaces the aging 13-inch and 15-inch MacBook Pro with the two lightest and thinnest professional-grade MacBooks ever made, according to Apple. The new 13-inch model measures 14.9 millimeters and weighs just 3 pounds, half a pound less than the previous model, while the new 15-inch model comes in at an even more impressive 15.5 millimeters and just 4 pounds. For the 15-inch MacBook Pro, that’s a pretty big reduction in weight, as well as a 20 percent reduction in volume. What about the internals? Well, both the 13-inch and 15-inch MacBook Pro models received a modest internal refresh. Both will sport sixth-generation Skylake Core i7 processors (dual-core on the 13-inch, quad-core on the 15-inch), with a cheaper Core i5 option available for the 13-inch. 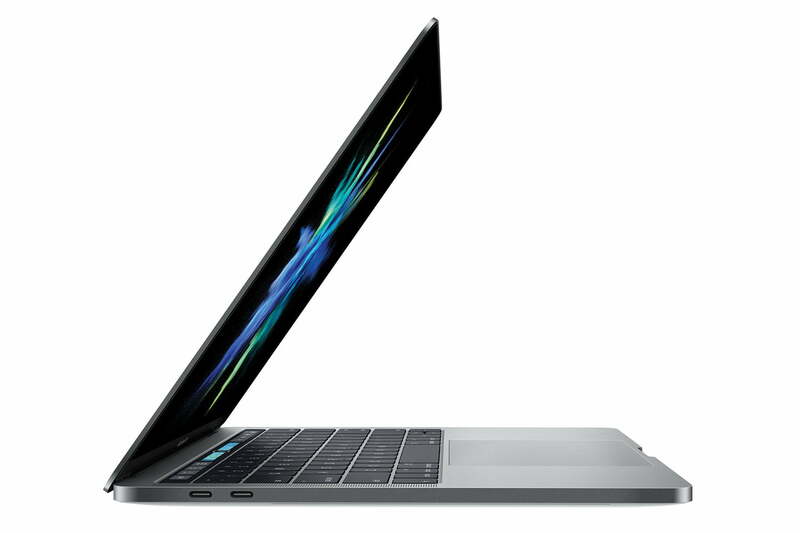 Both new models boast increased storage space, up to 1TB for the 13-inch and 2TB for the 15-inch, and a boost to available RAM configurations. The 15-inch model also features a discrete graphics card, the Radeon 450 Pro with 4GB of RAM. The New MacBook Pro provides a much-needed update, along with some new bells and whistles and two new color schemes. The new MacBook Pros no longer feature standard USB ports, abandoning USB-A for four USB-C ports, two on each side. The Force Touch trackpad also got a revamp, and is apparently twice as large as it used to be, offering a luxurious amount of space for those big sweeping multitouch gestures. Apple credits the increase in size and sensitivity to the Force Touch technology, which does away with a bulky internal mechanical switch that reportedly took up more than its fair share of space. The keyboard also got a touch-up, with a second-generation butterfly mechanism taking over for the previous butterfly switch. Apple claims it will be more responsive and offer a greater sense of key travel. That’s good, because the keyboard on the 12-inch MacBook is a weak point. As we’ve long suspected, the function keys are officially dead for the MacBook Pro — dead as the 3.5-inch headphone jack on the iPhone. Apple offered up a similarly “courageous” explanation for the removal of the keys, and elaborated on the impressive piece of technology replacing the venerable function keys. Updated on 10-27-2016 by Jayce Wagner: Added spec table and clarified storage options.